When you're building a house, before you can even begin to consider what color you want to paint the living room, you must first pour a foundation and build the frame, right? Well the same concept should be in place when it comes to your technology solutions. Before you start installing a fancy new phone system, you need to ensure that your structured wiring is up to date and able to handle whatever new technology you want to start using. If you haven't had someone evaluate your cabling situation in the last five to ten years then there is no better time than the present! With PTS we can develop a wiring system that fits your individual business and your individual needs. There is no one-size-fits-all solution because we know that you are not a one-size-fits-all business. 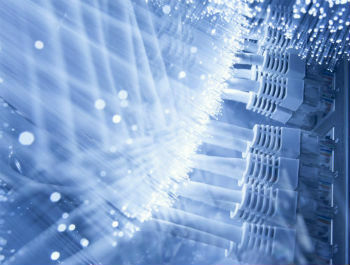 Contact us today about how Structured Wiring can keep your business moving into the future! If you have a question or would like us to contact you, please complete the following form. © 2019 Professional Telecommunications Services, Inc.